Kick off your visit on the 9th (Tue): snap pictures at Elizabeth Quay and then look for gifts at Nosh Gourmet Food & Gifts. For traveler tips, where to stay, maps, and other tourist information, use the Perth visit planner . If you are flying in from United States, the closest major airport is Perth International Airport. In July, plan for daily highs up to 65°F, and evening lows to 45°F. Cap off your sightseeing on the 10th (Wed) early enough to travel to Kalbarri. Kick off your visit on the 11th (Thu): see the vivid underwater world at Blue Holes and then get to know the resident critters at Rainbow Jungle. To find reviews, maps, photos, and tourist information, read Kalbarri journey app . Do a combination of flight and bus from Perth to Kalbarri in 6.5 hours. Alternatively, you can drive; or take a bus. Finish your sightseeing early on the 11th (Thu) to allow enough time to drive to Exmouth. Exmouth is a town on the tip of the North West Cape in Western Australia. Step out of the city life by going to Mandu Mandu Gorge and Charles Knife Canyon. The adventure continues: explore the striking landscape of Cape Range National Park, pause for some photo ops at Potshot Memorial, look for all kinds of wild species at Jurabi Turtle Centre, and indulge in some personalized pampering at some of the best spas. To see ratings, other places to visit, maps, and more tourist information, read Exmouth trip itinerary builder tool . You can drive from Kalbarri to Exmouth in 8.5 hours. Alternatively, you can do a combination of bus and flight; or take a bus. In July, plan for daily highs up to 75°F, and evening lows to 52°F. Finish your sightseeing early on the 16th (Tue) so you can drive to Denham. Denham is the administrative town for the Shire of Shark Bay, Western Australia. 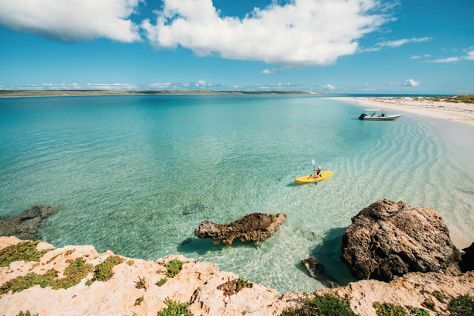 You've now added Shark Bay to your itinerary. Start off your visit on the 16th (Tue): kick back and relax at Shell Beach, then take some stellar pictures from Eagle Bluff, and then take in the waterfront activity at Shark Bay. For maps, more things to do, where to stay, and more tourist information, use the Denham trip maker app . You can drive from Exmouth to Denham in 8 hours. Alternatively, you can do a combination of bus and car; or fly. You will leave for Jurien Bay on the 17th (Wed). Jurien Bay, is a coastal town in the Wheatbelt region of Western Australia, 220km north of Perth facing the Indian Ocean.HistoryThe coastline around Jurien Bay was first known to Europeans in the 17th century. On the 18th (Thu), view the masterpieces at Sea Spray Art by Kiera and then see what you can catch with a fishing tour. To find more things to do, traveler tips, photos, and more tourist information, read Jurien Bay trip maker app . Explore your travel options from Denham to Jurien Bay with the Route module. Finish your sightseeing early on the 18th (Thu) so you can travel to Perth. 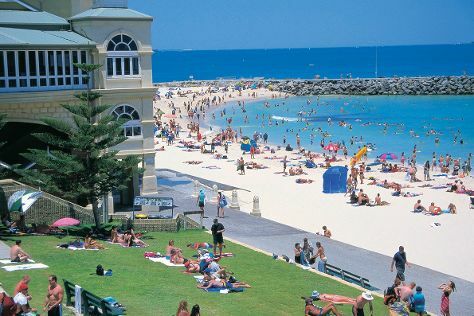 Kick off your visit on the 19th (Fri): stop by Roc Candy, appreciate the history behind The Bell Tower, and then stroll through Cottesloe Beach. For maps, other places to visit, photos, and tourist information, read Perth trip planner. Explore your travel options from Jurien Bay to Perth with the Route module. Finish your sightseeing early on the 19th (Fri) to allow enough time to travel back home.